The biggest news for MMOs for the past couple of weeks has arguably surrounded Guild Wars 2 and World of Warcraft. As such, news about those two titles are what we’re going to be focusing on in this month’s issue of MMO Co-Opportunities! 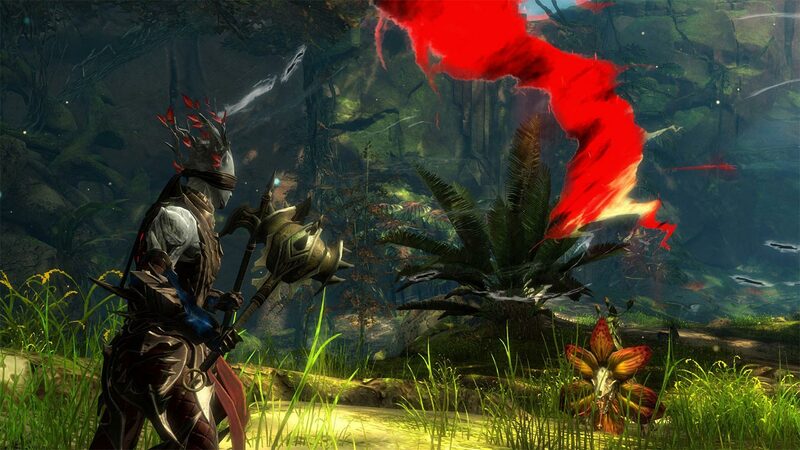 The first expansion for Guild Wars 2 released on October 23rd. This adds a virtual ton of stuff to the game, including the whole new Revenant Profession, Masteries, huge new zones, and elite specializations. That’s not to mention all the PvP and WvW stuff it’s added as well. I’m currently hip deep on exploring the expansion, and hopefully I should have a full MMO Co-Opportunities issue devoted on it for the month of December. There’s simply too much stuff in this expansion for me to get a good handle on it in the couple of weeks I’ve had access to it. In the meantime, you can go back and check out the previews I did for the expansion during two of its beta weekends: Part 1, Part 2. Despite the fact that I won’t be imparting my full impressions on the expansion yet, there is still new and interesting stuff to discuss about it. Shortly after Heart of Thorns released, players voiced their disappointment on the elite specializations progression. Awhile back the skill and tactics system was revamped and changed into a consolidated unlock system. Skills and tactics are now separated into several different groups (“specializations”) where players invest “hero points” to unlock them. Hero points are gained through leveling up and interacting with certain points in the world. The new elite specializations require first that all other specializations (thus, all other skills and tactics) be unlocked, which is a fairly hefty amount of points. After that, a new specialization track is available to invest more hero points into. For this elite specialization track, however, each milestone takes a big chunk of hero points. With that explained, we can return to the player outcry. On launch, elite specializations required 400 hero points to fully unlock, which was a staggering amount. 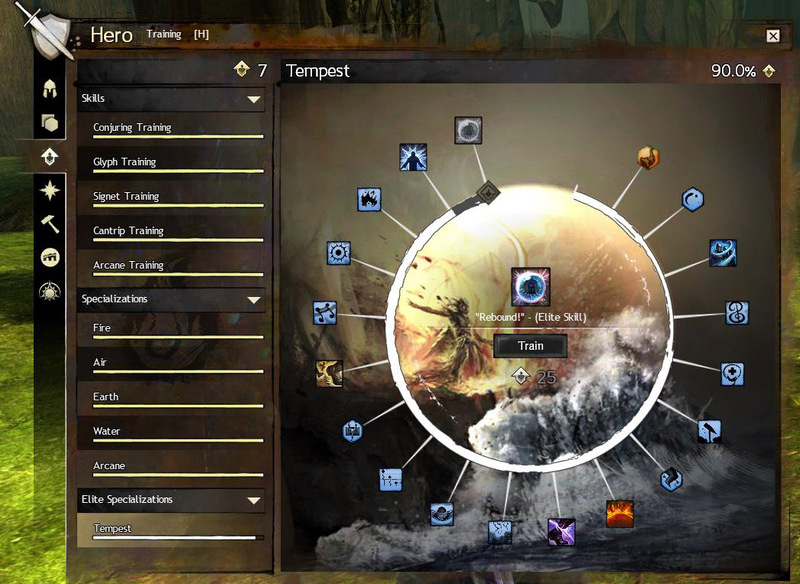 When I invested all my remaining hero points into the Tempest elite specialization on my elementalist, I was only about 1/3 through the track. My elementalist, it just so happens, had most of the hero points available in the core game which took a good amount of work back when I was playing before. Players were upset because they felt like it was too much of a grind to play around with one of the biggest draws for PVE content. In response, Arenanet re-evaluated and quickly decided to drop it to 250 hero points to fully unlock. I think this was a very good move. After the change, my elementalist was around 2/3 through. 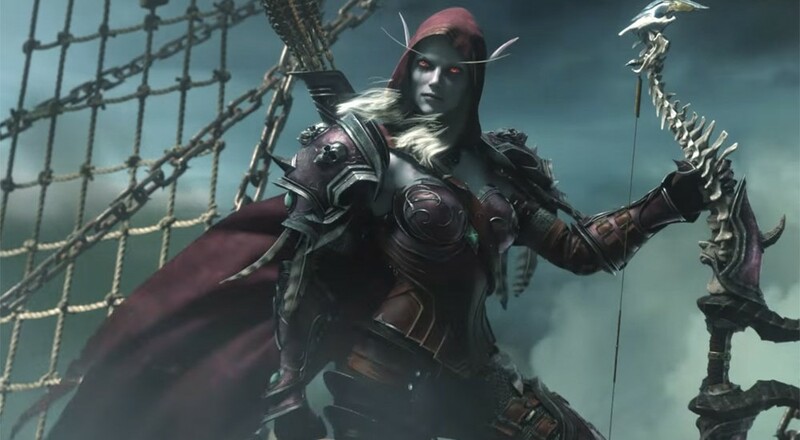 This means that highly invested players still must get some more hero points in the new area, but they can conceivably do it while playing around with their new elite specializations, instead of feeling like they are making themselves weaker if they choose to equip them. Also due to player feedback, Arenanet decided to make some of the expansion’s new Adventures more easily accessible. Several adventures that are not directly tied into an Event chain are now more often accessible to play, since players seem to be really enjoying them. It’s always nice to see when developers respond to constructive feedback.